Yes kids James Cameron in back with his latest creation Avatar. It took him twelve(12) years to get this film out to the cinemas due to budget overkill and not-yet-developed CGI effects. But now it is here both in the usual 35mm film and 3D in selected cinemas. The human race has discovered a rare and expensive mineral on the planet Pandora called Unobtainium. This leads to a mining project which causes the human race to get in a conflict with the native people of Pandora, the Na´vi. There are two camps in the human base, the military and the scientists. Scientists who want to research and learn from the planet and its people. Meanwhile the military side is getting anxious to get there hands on the mineral and is on the verge to start a war with the Na´vi. Jake Sully, played by Sam Worthington, an ex-marine soldier paralyzed from his waist down gets his chance of a lifetime when he is offered a job on Pandora to replace his late brother. The human scientist have genetically created Na´vi avatars using both human and Na´vi DNA. These avatars can be operated by linking up a human brain to the avatar and this is where Jake comes in. Being in his brothers avatar Jake explores the world of Pandora like a little child stepping outside of his house for the first time. When Jake is in his avatar he can use his legs again and he develops a interest to the world of Pandora and its people, especially a girl named Neytiri.Meanwhile he also gets more and more accepted by the Na´vis. But the road to get fully accepted is long and hard. Being an ex-marine he start this scientific mission as a spy for the military side to know what the Na´vis weak spot is. But when the humans decide to invade the Na´vis most sacred ground beacuse of the big amount of Unobtainium there, Jake has to choose a side. Will he fight alongside the Na´vis or will he help the humans get there hands on the Unobtainium and get his privat reward for spying on the Na´vis? Sigourney Weaver is playing the chief scientist as Dr. Grace Augustine and does a heck of a good performance in this movie. As an experienced avatar user she has the best contact with the Na´vi people and is one of few avatars accepted by the Na´vis. I have not been this impressed by Sigourneys soft-side-acting since Gorillas in the Mist. The most difficult role in this movie goes to actress Zoë Saldana. She plays Neytiri the daughter of the leaders to the Omiticaya-clan. She is in my eyes the co-star apart from Sam in this movie but she is also completly animated. Yet she delivers an extremely good perfomance. The “bad guy” is played by Stephen Lang as Colonel Miles Quaritch. He is the one asking Jake to spy on the Na´vis for him and he gives Jake a offer he almost cant refuse to do it. I always have problem believing the badass-officer-characters in movies. Except for Gunnery Seargeant Heartman in Full metal jacket, who by the way sat the bar for badass officers, there is not many movies nor actors that can pull it of. Stephen Lang in my opinon does not over exaggerate his interpretation as badass officer which is the most common problem. He does a ok job as the bad guy nothing more nothing less. 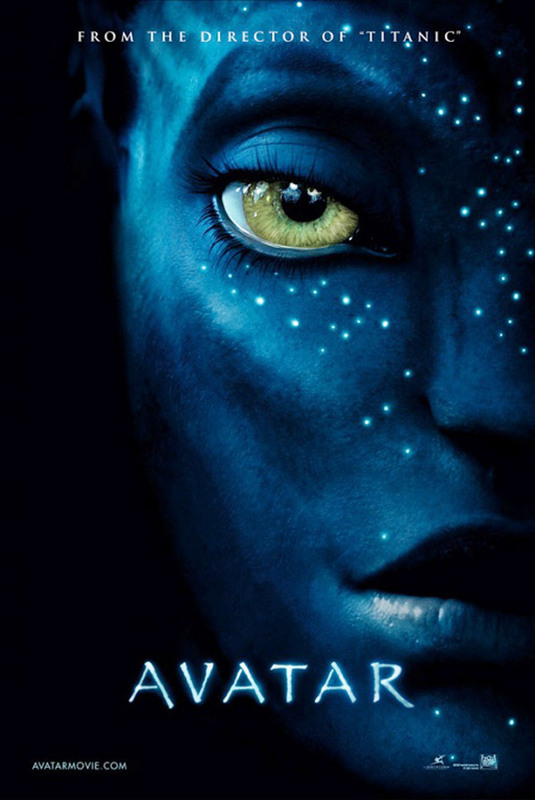 I decided to see Avatar in its “plain-not-3D” format. This is beacuase I didnt want the extra effect to overcompensate for another factor. But believe me I will see it again in 3D to compare the pure technical difference and get back to you about it. But dont worry, the plain 35 mm is also gonna blow your mind for sure. I can see why it took James so long to finish this movie. The details in this movie is really great and if it were not for the occasionally animated operating schedule in the characters I sometimes totally forgot that I was looking at something animated. Of course there are no huge blue aliens but it looks so good it could pass as makeup on huge people or something. Well as the intro said, James is back. He is back in his sci-fi element. I am not gonna lie, there were more than a few moments when I got all teared-eye. We all know that James is perfectly capable of delivering awesome sci-fi movies and even series (Terminator 1&2, The Abyss, Aliens, Dark Angel). And it is also proven by the billions earned in cinemas all over the world that he can deliver a love story(Titanic). And I am proud to say that Avatar is a really great mix of these two genres. The movies OST is also first class crafted by James Horner. I actually noticed how Horner manage to pull of one great score after another in the movie. He really nails the score to the according scene. Great action scenes brings me back to the impressive score of Jurassic Park and sentimentals like Gladiator with a touch of Apocalypto, which Horner also was involved in. The movie is just a bit to long for my taste with its 2h and 41 min but nowadays it is almost standard with 3 hours. Its not a groundbreaking story, but it sure is a great one. Only one week left! So this weekend tips will be, yes you guessed it, Christmas movies! First we have a classic that doesn’t really need any introduction. The Nightmare Before Christmas will always be one of the best Christmas movies, and that’s that! Jack Skellington, the king of Halloween Town stumbles upon Christmas Town. 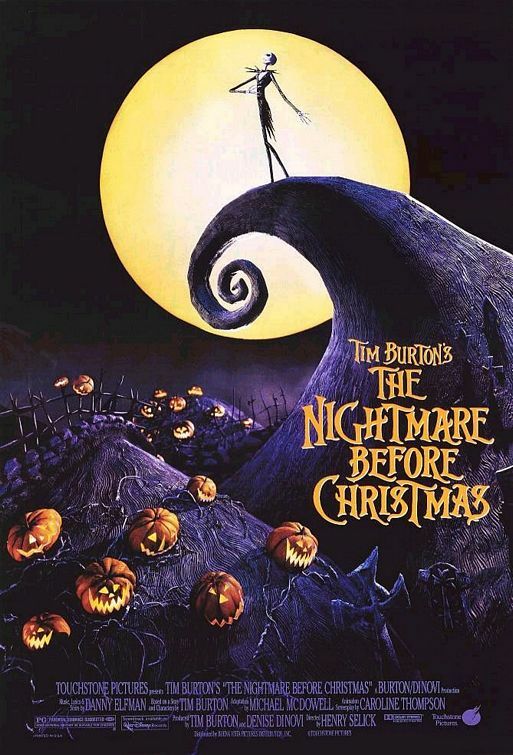 He falls for the idea of Christmas and tries to bring Christmas to Halloween Town. If you haven’t seen it, see it! 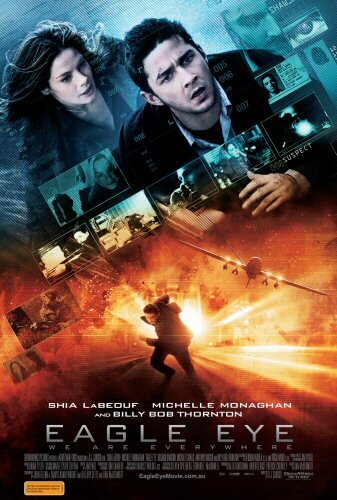 If you have seen it, see it again! Another Christmas movie that’s heartwarming is The Holiday. Two women with guy-problems swap homes over the holiday. The cast includes Cameron Diaz, Kate Winslet, Jude Law and Jack Black. Adorable and warming story, perfect for a cold winters day. And now for two Swedish movies that I love, I’m not sure if they have been released internationally but they’re worth looking for. First we have the classic Sällskapsresan 2 – Snowroller (Charter Trip 2 ). It doesn’t get more Swedish than this. 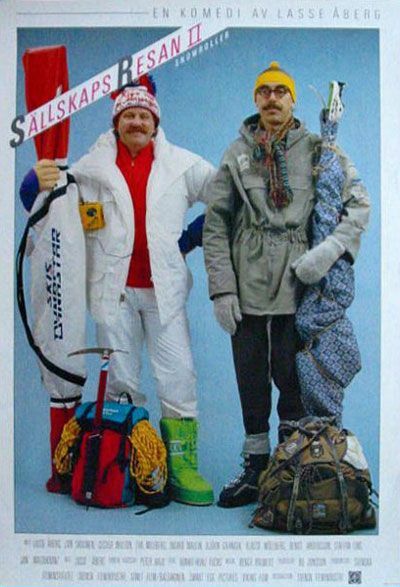 Stig-Helmer and his friend Ole returns and this time for a skiing vacation in the Alps. It makes fun of everything with charter trips and the poor unlucky Stig-Helmer. The number one comedy for Christmas is Tomten är far till alla barnen, I think it may be called ” In Bed with Santa” in English. It shows a modern (read complicated) famliy with exes, new wifes and girlfriends, all brought together for Christmas and the drama just gets worse the further into the night it gets. Sara, the host for this evening, reveals that she is pregnant, but what she doesn’t know is that her current husband is sterilized… Some of Swedens best actors in an hilarious movie that will surely brighten up your day. That’s it for today, have a schmear Christmas everybody! Yay! Our favourite hero is back! 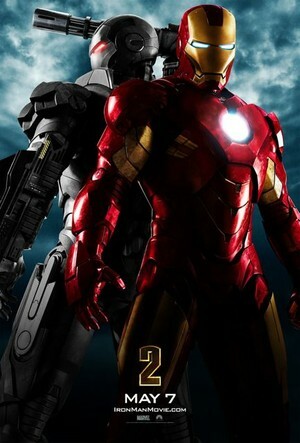 Check out the trailer for Iron Man 2 right here. Christmas is getting closer and closer and now we even have lots and lots of snow. Perfect conditions for us moviegeeks Christmas is also the theme for most series now, so far Bones has the best one this year. Spoiler alert! Only Bones can blow up Santa and strip Booth and still get away with a hell of an episode. This is a good time to catch up with the series one has missed during the year or go for a rerun. So today I thought I’d give a TV-series tips for the holidays. 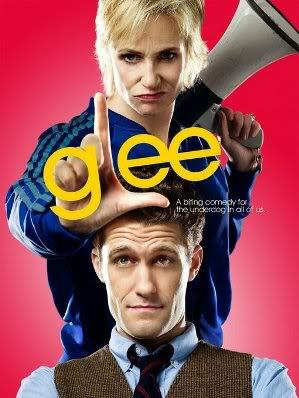 Glee is a series I’ve fallen in love with the last couple of weeks. I didn’t know that much about it when it started airing on TV4 in Sweden some time ago, but decided to give the pilot a chance. And well, I’ve been stuck ever since. It’s no question why this show has gotten so successful, mixing humour and music it makes you happy every week. Glee is in no way like, let’s say High School Musical. Yes the series is about a glee club and there’s a lot of singing and dancing but they’ve tuned it down and made it more schmear realistic in a way without losing the charm. In essence Glee is about a Spanish teacher who takes over the schools glee club and tries to return it to it’s former glory. However the schools cheerleading coach doesn’t like to share the spotlight and tries to stop them. Several funny and adorable characters and some complicated relationships makes this show the feel-good series of the year. What really got me to become a gleek was the humour and the somewhat unexpected funny dialogues. Just check out this clip (not so good quality) and give Glee a chance, even if you don’t usually like musicals. Season one will be out on DVD soon and until then you can catch it on TV4 in Sweden every Thursday at 21.00. I will go to the animal shelter and get you a kitty cat. I will let you fall in love with that kitty cat. And then on some dark, cold night I will steal away into your home and punch you in the face!